As an independent, fee-only financial advisory firm, we do not receive commissions and provide wealth management services free from conflicts of interest. We design cost effective retirement plans, provide participants with investment guidance and act as plan fiduciaries under §3(21) or §3(38). With 30 years of experience in advising individuals and organizations, PWM is a Dimensional Funds-approved financial advisor, specializing passively managed index fund investments. Potomac Wealth Management, LLC, located in Great Falls, Virginia, is a fee-only registered investment advisory (RIA) firm serving the financial management needs of high-wealth individuals and businesses throughout the United States. Acting as fiduciaries, we operate with no conflicts of interest, allowing us to design, manage and execute financial plans tailored to our clients’ goals and tolerance for risk. We invite you to contact us to learn more about our services and discuss the options available to help you to reach your investment goals. 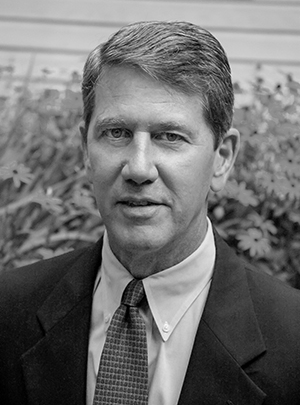 The Principal Officer and Founder of Potomac Wealth Management, LLC is Kurt E. Laubinger, who has been a professional investor since 1983 and has been assisting high net-worth individuals and institutional clients with the design, implementation and management of their financial assets for over thirty years. He holds a BS degree in Business Administration from Old Dominion University and has received post graduate training in personal trust, estate planning and employee benefits from the Cannon Trust School in Athens, Georgia. Kurt has been a speaker at National Conferences on topics related to investments and retirement planning and is cited from time to time in national industry publications. He has written extensively on retirement planning and is published in newsletters and on the world-wide web. If you are curious about whether our services are a good fit for you, please contact us to schedule a free consultation.